Aziz Ansari of Parks and Recreation fame has written a new book, Modern Romance, about love in the digital age. John Heilpern writes an interesting review of the book in Vanity Fair’s June edition. The meteoric rise of Match.com, OK Cupid, Tinder, and other online sites for meet ups has opened up a host of new opportunities for people looking for love. Ansari recognizes that there is good news and bad news with the advent of this new way to find a love match. One of the surprising discoveries about the efficacy of online matchmaking is that “the partner people say they want online often doesn’t match up to the one they’re actually interested in.” Ansari himself is dating a woman he admits would not have “made it through the filters he placed on his own online dating profile.” He was looking for a woman who was younger, smaller, and had dark hair. The woman he has been happily dating for two years is slightly older, taller, and blonde. It can be difficult to define what you are looking for using the online metrics. Sometimes what you think you want is not what you really need. This is true for employers trying to find the right match for the jobs they need to fill. Writing a description of a desired employee can be a challenge. Employers write job descriptions with a focus on the hard skills they need. But even if you can get a definition of the right hard skills, that is no assurance that the person with the right soft skills will also have those hard skills. Arguably, since hard skills can be acquired, personality and soft skills ought to be the ones an employer focuses on in the online job posting. But that is rarely done. You are not likely to read a job posting like this: “Looking for a worker who is people-smart with high emotional IQ and an ability to roll with the punches. Must get along with our crazy, demanding clients and a manager who screams at everyone because he is anxious about making budget.” You won’t find a job posting like that, but maybe you should. What Ansari probably found with his current girlfriend is a set of deeply personal traits that make her who she is, and that resonate with him. Those traits are not skin deep. They have nothing to do with hair color or height. When we search for the real building blocks of personality that make people who they are – their grit and determination, their ability to be calm under pressure, their sense of humor, generosity, ability to be supportive of others and step up to do the work, we are getting at the real stuff of a human being. That is too hard to reduce to words in a job posting or a description for online dating purposes. Just as there are limits to getting the person you really want from an online dating post, there are limits to getting the person you really want to join a workplace from an online job post. The best way to find the right personality traits is to meet in person. A “real live risky meeting” is the best vetting tool to use at least in the beginning of a process that includes a fuller revelation of information. That is why it is so important for job seekers to engage in person, in rapid relationship and trust building meetings with people in their industry as they look for job opportunities. The meetings they have in person with people who are connected or respected by a particular workplace may well trump the online submission for a job at that same workplace. If you meet with people who are central in your industry and those meetings are good, there can be a positive buzz about you that spreads through the grapevine of that industry. When that happens, you are more likely to be able to come to the attention of a workplace through the recommendation of an internal source, which increases the likelihood of being hired. I write about this process in my book, Job Quest: How to Become the Insider Who Gets Hired. Of course it also matters that you do your own research about the workplace if you are a job seeker. You may not want to work in a pressure cooker setting with a difficult boss even if you could handle it. Finding the right match is a two way street. And getting that match right happens in person. Update! This coming Thursday, May 28th during the 7:00am hour, Sheila will be appearing on the show You and Me this Morning to talk about her book Job Quest: How to Become the Insider Who Gets Hired. Check it out! The show can be seen on WCIU-TV 26.1, XFINITY HD 183, RCN 6, RCN HD 606, WOW 6 or 10, WOW HD 207, AT&T U-verse 10, AT&T U-verse HD 1010, DIRECTV HD 26, and Dish Network 26. If you haven’t yet discovered the thirteen part Netflix comedy series, Unbreakable Kimmy Schmidt, you’re in for a treat. The binge-worthy series, developed and produced by Tina Fey, has a premise that is a perfect setup for the main character, Kimmy, to be a present-day naïve learning about our nutty culture after being away from it for many years. Kimmy is one of four so called “mole” women who were kidnapped and held hostage in an underground bunker by a self-described religious fanatic who claims to believe the end of the world is near. He pretends his intention was altruistic, namely, to save these women from the Apocalypse by keeping them safe in the bunker, but we know better. The series begins when they are found and released back into the world by the authorities who have finally located the secret bunker. Kimmy, who is now free to do whatever she wants in life, decides to live in Manhattan and promptly runs into difficult situations which are at once revealing and hilarious. We get to see the world and our culture through her eyes. Her experiences reveal some dark truths about our current culture: drug addiction, poverty, a messed up immigration system that forces people to marry to avoid deportation, self-indulgent rich women, smart kids who pretend to be stupid so that they can be popular, and much more. Because of Kimmy’s approach to life, she not only survives but does well no matter what life throws at her. We get to laugh at the crazy world we have become inured to, but a world that is new to her. Kimmy, ever resilient, is the perfect foil. This show has grown on me. At first I felt it was too cartoonish. But now I am a fan. And part of the interest for me is seeing how Kimmy translates the bad stuff that happens to her and others in her immediate world into good stuff as she makes her way in life. I am interested in that ability to find treasure in the trash because that’s what most people have plenty of chances to do in life. People who are really lucky in life aren’t winning the Lottery, instead they’re good at powering through when bad things happen to them. And bad things happen to everyone. I just lost my sister, who was also my close friend, to ALS, and it has been a very tough loss to deal with. I am still looking for the treasure in that trash. What does this have to do with your career? Attitudes matter. I write about that in Job Quest. Getting lucky in your job search and even doing well on the job once you land it has a lot to do with your mindset. Being open and engaged with people will help you to create a community within your industry that supports you and that you support. This is very valuable for a productive job search and for a successful work-life in most industries. Being observant can help you to succeed. As you work your way to a job opportunity by meeting with people in person, it helps if you can be acutely observant and aware of your surroundings and the people you are interacting with rather than self-absorbed. And having patience and diligence are valuable assets as well because the process of job search and working most jobs will have elements and tasks that require the ability to hang in there even when you wish you didn’t have to. 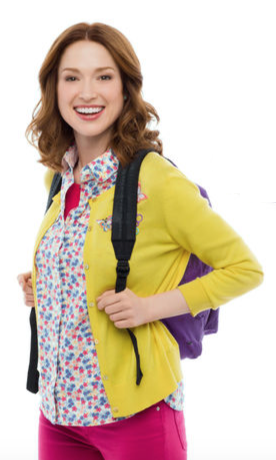 Unbreakable Kimmy Schmidt is not the least bit preachy. But humor is the best teacher of all. I hope you will try watching this series when you are looking for something fun to do. How Can You Tell If You Will Like your New Job? Will you like your new job? How long will it take for you to know if you do? And what’s the downside for you if you don’t? Ultimate Software did a survey that was reported in USA Today on April 12, 2015. The survey of 1,005 adults found that forty percent of them said they knew whether they wanted to stay at a job long term within a month of starting. Twenty seven percent said it took half a year to figure this out. Twenty three percent said it took less than a week and six percent said they knew within a year while seven percent said it took more than a year. When you start a new job you want to stay for a good long time. However, there can be difficulties that are hard to anticipate such as: the culture of the workplace is not what you expected, the people you need to work with are difficult personalities, you thought you were hired with an understanding about what you would be doing but that job description does not fit what you are being asked to do. If you start a job and you wish you could leave after a week or a month, that means you will have to ramp up your search again. At that point you are not on the ground floor of your search effort, you are in the sub-basement with a serious problem to overcome. What is the problem? You will have to talk about why that job did not work out for you. How are you going to explain this failure? The need to make a job mismatch understandable to the next potential employer is difficult for many reasons, but particularly because it reflects badly on you if you talk in a negative way about your past workplaces. Unless you are talking with another person who fled that same mismanaged or dysfunctional workplace, the best practice is to avoid saying bad things about past workplaces. Even if your recent boss, supervisor, manager, or partner was a drama queen, a screamer, or a micromanager, or your co-workers were impossibly competitive, or the culture was all “hair on fire all the time,” it doesn’t do you any good to demean your past workplaces as a general rule. It makes the potential employer nervous about you. Potential employers do not really know who you are unless you have worked with them in the past. When they hear that you are leaving a place after only a few weeks they will be suspicious that there is something wrong with you! You get the stigma even if the workplace deserves it, not you. It gets worse. If you want to leave your job after only a brief period of time, you now have two bad choices. First, renew your search. The bad news is that you now have a cloud over your head that will make future potential employers think twice about you. Second, stay put in this job and keep your misery a secret. The bad news is that since you do not like this job, you are not likely to excel at it and that usually leads to less than glowing references for you in the future when you look for the next place to work – or you get fired. What if you could improve the likelihood for happiness and success at your new job? What if you could do a better job of predicting them? Impossible? No. But it calls for a little research about yourself and about the workplaces you are considering. What is the research you should do about YOU? Step One: Identify what you need from a job. Your needs can be identified by going back in time. Think about every job, internship, or other work you have done, paid or unpaid, and isolate the key elements that made the work experiences either enjoyable for you or not. Start with a list of what you liked. Did you enjoy this work and work setting because of the boss who was available to mentor you? Was it the team, collegial feeling that came from the cohesive staff you worked with? Was it the opportunity to leave work at work and have a fuller life outside of work? Was it being left alone to manage your time and be independent? Was it the ability to get ahead and be intellectually challenged and learn? Step Two: Identify what you need to avoid. What were the problems with the jobs you had in the past? What irritated you or frustrated you or made you want to quit? Was it boredom? Lack of challenge? Cold calling? A culture of criticism? Was the content of the work uninteresting? Try to identify your negatives. Once you have your list of things you hated, ask yourself this question – what could have fixed this job to make it work for you? When you do this exercise, the list of positive elements usually pops right out. Add these to your list of things you need from a job. Step Four: Create a scale from 1 to 10 for every element you need. This is like an applause-o-meter. Write down every element and then next to it draw a line with numbers along the line from 1 to 10. Grade every element on a scale of 1 to 10 with 10 the highest. Do this by circling the number on the scale that matches how strongly you feel you want to have this element in your work life. This will tell you how intensely you care about each individual element you just uncovered. Step Five: Create a scale from 1 to 10 for every element you want to avoid. This is a list of things you dislike with “10” the rating for those things you really hate so much you really should not take a job that has this negative for you. Here the scale is going to reveal what you should try hard to avoid, such as the micromanager boss, or a job where you sit in front of a computer all day when you really enjoy interacting with people. Now you have an Essential Elements Template. Step Six: Use this Template to Vet Every Potential Job. For every element you need and have identified as a 9 or 10, you should not take a job that does not give you that element, or at least a reasonable amount of that element. If you need work/life balance, for example, and you give that need a “10,” then you need to be sure the job you are going to take has a track record of allowing people to have work/life balance or at least a reasonable amount of that kind of flexibility. If you need intellectual challenge and gave that a “9,” then you need to be sure the workplace you are thinking about joining will be more likely than not to give you something close to the “9” you are looking for. Even if this workplace does not give you everything you want to the degree you want, if you are building your career in the right direction and this imperfect job helps you to get there, you might put up with something less than what you desire/need in order to move your career in the right direction and over time gain access to the job that is more satisfying. The Essential Elements Template is a predictive tool that is uniquely yours and that can help you know whether a job is going to be a good match for you. I talk about this more in my book, Job Quest: How to Become the Insider Who Gets Hired. Next, What is the Research You Should Do To Find Out About a Workplace? You know what you need from a job, but how can you figure out if the job will give you what you need? Become an investigative journalist by finding people who used to work at this workplace and ask them about their experiences. LinkedIn is a wonderful tool for this kind of undercover work. Do not ask people who are currently at a workplace, of course. Do not use e-mail to have this very frank conversation. Like a good investigative journalist, start the discussion with open ended questions and then follow with more probing questions to dig deeper. People who have formerly been at a workplace are often willing to share their knowledge, experiences and thoughts with you if you do this discretely and confidentially over the phone or in person. People who are married to or are close to a person who used to work at this workplace are other good sources of information. Be sure to ask questions based on your template. For example, if you need a workplace with a collegial, team culture, then ask questions about that culture and draw the person out about his or her experiences at this workplace. Check to see if the culture has changed. There could be a new manager or some other change that has impacted the culture of this workplace. Too often job seekers take jobs based strictly on a skill set match up. Skills matter, of course, but it is often the very unique and personal match up of your needs with the specific workplace culture: your future boss, your future co-workers and the attitudes of this specific workplace, that will make or break your happiness at this new job. 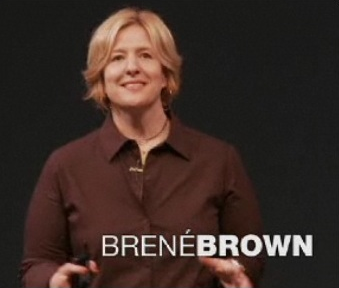 Brené Brown talks about the power of being vulnerable in her 2010 Ted Talk. She originally set out to gather stories about how people react to questions about some of the deepest and most personal topics that give meaning to our lives. In the process she learned that people self-sort into two different groups: those who live life with an inner sense of worthiness, and those who struggle to believe in themselves. What do the “worthy” people have in common? She tells us they are “wholehearted.” They live their lives with the courage to be themselves and be imperfect. They fully embrace their vulnerability. What we gain from being vulnerable and wholehearted is the experience of life more fully lived with all of its ups and downs. If we do not numb our negative feelings, and have the courage to experience them, then we also feel the positive feelings more deeply. In other words, the courage to feel sad, angry, hurt, or hopeless at times also gives us a fuller experience of joy, creativity, love, and happiness. Shame is no longer crippling and cannot stop us from living a full life. Our lives become more robust. What does this have to do with your job search? 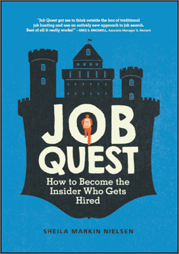 When you set out on a job quest, as I describe in my book, Job Quest: How to Become the Insider Who Gets Hired, it will help you to succeed if you have the courage to be vulnerable. Whether you are looking for your first job after graduation, or a job to transition to mid-career, or the second life you want to have when you semi-retire, all of these moments are vulnerable times for us. To find the first job or the next job it is vitally important to meet with many people and hear their stories and tell your story. It is vitally important to tell everyone your dream and dilemma so that they will brainstorm with you and help you figure out where your best bet is to find the right field, industry, tribe, and group of workplaces you are seeking. You will be asked tough questions. Why are you leaving that job you said you liked? What are you trying to do with your career? What is your goal? When you answer these questions you may need to talk about some difficult things. You may need to explain why you were let go. You may be wrestling with the idea that the career goals you want to pursue will disappoint your parents or your spouse or other significant people in your life. You might feel ashamed that you did not land the job you thought you would get after graduation and now you are trying to find a way to correct your course. Shame and fear can rear their ugly heads. But instead of hiding from those feelings, if you can experience them and embrace them, you can recover more quickly and launch that person-to-person interactive search that is the fastest way to the next job. “Yes, I left that job because it was not what I hoped it would be.” “Yes, I was let go but I learned more from that experience than all of the successes I have had in my life before this.” “Yes, I took a job that did not challenge me but that is why I am so committed and motivated to do this job search the right way this time.” The truth is we are all imperfect. There is always a place in the work world for people who care about the work they do and the people they work with. Embrace your vulnerability. Of course, be careful to use good emotional intelligence about who you entrust with your deepest and most authentic self. Just be sure the person is on board with you, on your team, wanting you to be successful. When you go on a job quest and you are your fullest self – your sense of humor, excitement about the work, your vitality, and your willingness to help others all come out. People will help you because they connect with you, the real you. Your vulnerability, your authenticity, is powerful when you search for a job.